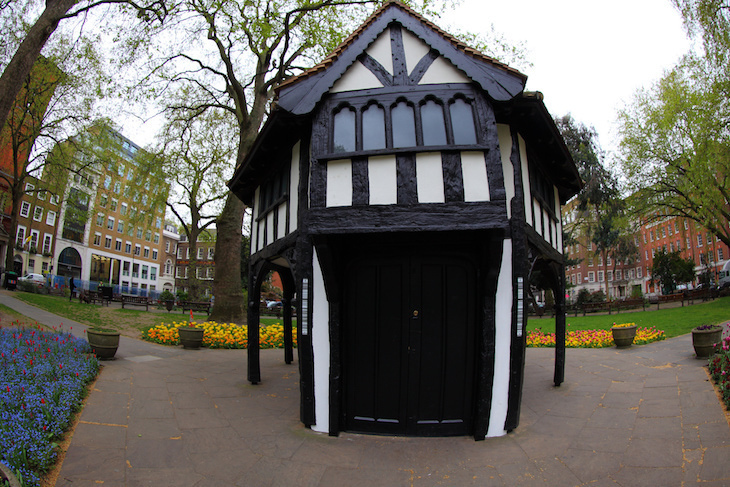 What Is The Hut In Soho Square? Harry Rosehill What Is The Hut In Soho Square? 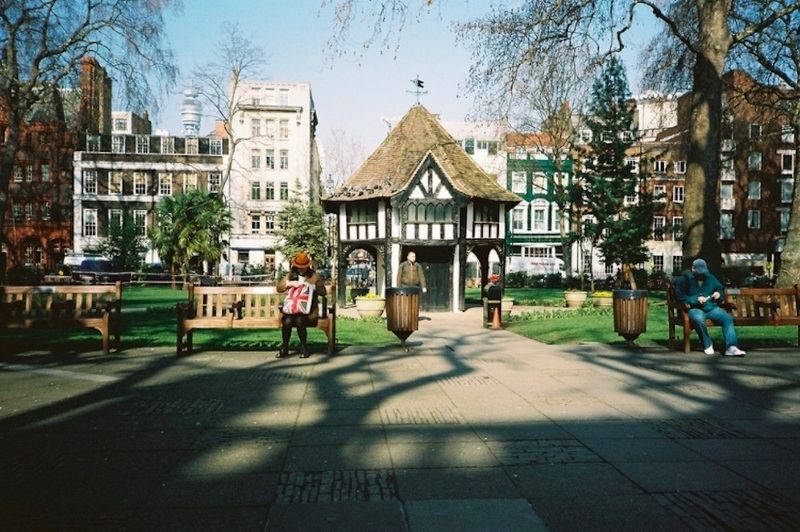 If you've ever been to Soho Square, you'll have seen the Tudor-style hut in the middle. What's it doing there? An urban myth claims it's the entrance to a secret tunnel to Buckingham Palace, but we can quite confidently dismiss that. Something that probably won't surprise you: despite its wonky, half-timbered disposition, the building is not Tudor. It only dates back to 1925 — and was originally a cunning disguise for something the Tudors could only dream of. Beneath the hut was an electricity substation for the Charing Cross Electricity Company. It was necessary for the station to have a private, above-ground entrance and, as there had been a hut there before dating back to the 1870s, this design was thought a fitting piece of architectural camouflage. During the second world war, the space under the hut took on a new role, as a bomb shelter. Leslie Hardcastle, president of the Soho Society explains what conditions were like inside: "It was lined with about 12 inches of brick and had concrete as a roof. "It could take about 150 to 200 people initially although that became less when they put tiers of bunks in. The only facility was a toilet and it could get quite smelly with all the people down there." Nowadays the hut is little more than a shed. It's filled with gardening tools, used to keep Soho Square prim and pretty. But the hut's future might be somewhat different: in 2015, reports surfaced that Westminster Council was attempting to sell the space underneath. It's said the council wants a restaurant to move in — although that might be a hard sell, considering that any subterranean diners would have to contend with noise from the nearby tunnels, of both the Northern line and Crossrail. Maybe it could be marketed as an earthquake experience restaurant? For now the hut remains a simple repository for spades and wheelbarrows.